Final Reminder that tomorrow, Wednesday, May 17th will be the first trail work night of the season! FOMP is pleased to be holding our first monthly volunteer trail work session for 2017! We are going to try a dual start time format for this season. One group will meet early at 5:00 PM and the other at 6:00 PM. If you are late for either one you are encouraged to join us out on the trail. Keep reading for the details! For our first work session, we will be working to complete a re-route in an area affectionately called “4 Corners” or “Watertank Corner” by many. You can see it on Google Maps here: https://goo.gl/maps/GJ9gRtG938y and you can also the erosion on the existing trail in the picture below. 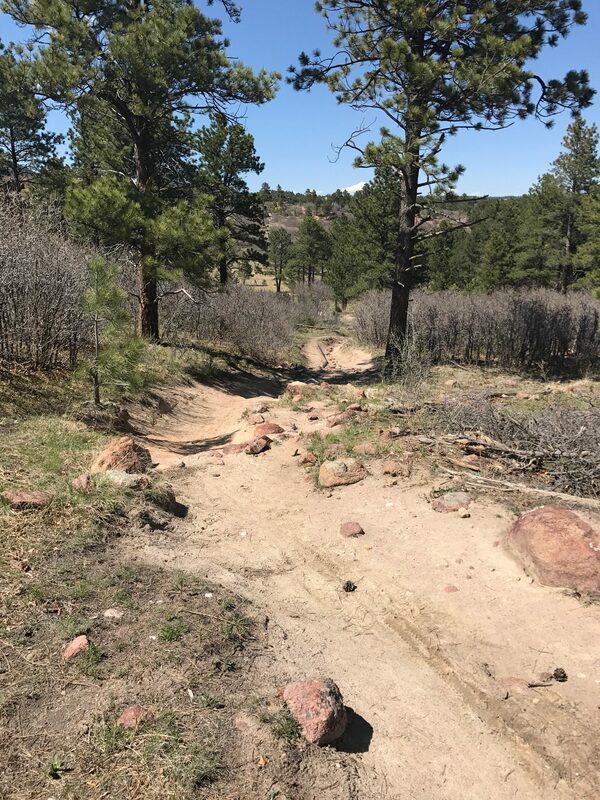 We’ve been contemplating the best way to route around this section for a couple of seasons and started the project with a National Honor Society volunteer day in late March. We’d like to get it finished and to do that we need your help! 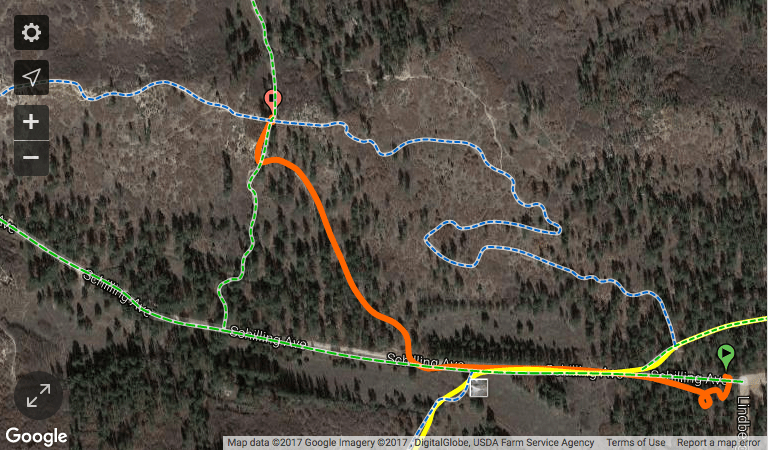 If you are joining us late, here is an overview map of where we will be – follow the orange track (well, you can skip that crazy start just walk straight down the service road towards Memorial Grove and after about 400 yards take the first right (orange) or second right (green) to arrive at the work site. The rest of the info you need: FOMP and USFS provide all necessary tools. Volunteers should wear appropriate clothing for performing outdoor landscaping type of work. Volunteers should bring leather gloves, a personal water supply, eye protection, sunscreen, and bug repellent. We meet rain or shine unless there is lightning active in the area. In the event that you are joining us late you can call Chris Tirpak (719.439.8865) to get any last minute information or if you are having trouble finding us. This entry was posted in FOMP on May 12, 2017 by chris.